Almost two decades after Venezuela’s late president, Hugo Chávez, came to power in an electoral landslide, his country’s transformation seems to be taking an ominous new turn. A country that was once one of Latin America’s wealthiest is seeing its democratic institutions collapse, leading to levels of disease, hunger and dysfunction more often seen in war-torn nations than oil-rich ones. “This is the last battle for democracy in Venezuela,” says David Smilde, a Venezuela expert at Tulane University. “Maduro’s ultimate aim is to turn Venezuela into Cuba. And we will not accept being put in that cage,” says Julio Borges, the head of the opposition-dominated National Assembly. Inflation was estimated by the International Monetary Fund at 720% this year; it is expected to surpass 2,000% next year. Shortages are so acute that three out of four Venezuelans lost an average of 18 pounds last year, according to a survey by Venezuelan universities. Diseases not seen there in decades, such as malaria, are back. “The government is desperate because they know the next presidential election will be their last,” says César Miguel Rondón, a popular radio host. When the host recently tried to leave Venezuela on a business trip to Miami with his family, he had his passport seized. “I’m a hostage in my own country,” he said. Amid the economic crisis and protests, the government has headed down an increasingly authoritarian path. It has raised the number of political prisoners over the past year to 391, according to the Venezuelan human-rights group Foro Penal—nearly four times the total from a year ago. Most are being tried in military courts. And the government is seeking to remove its rebellious attorney general through a case in the supreme court. The government didn’t answer requests for comment. The so-called Bolivarian revolution has become less about ideology and more about money. 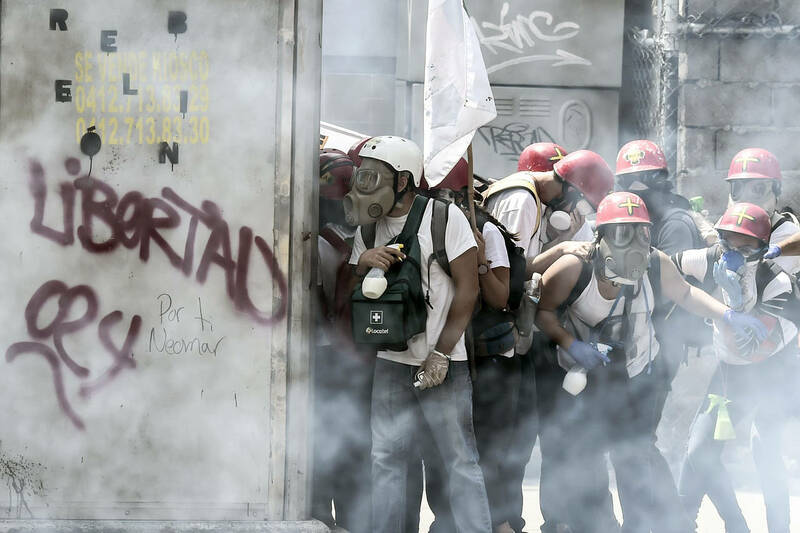 Venezuelans often call it a “robolución” rather than a “revolución,” using the Spanish word for robbery. If Cuba is an ideologically motivated communist dictatorship, Venezuela is something different: as oil-rich as Saudi Arabia, as authoritarian as Russia and as corrupt as Nigeria. Spectacular accusations of drug trafficking and corruption have sullied Mr. Maduro’s own family. Two nephews of Venezuela’s first lady, Cilia Flores, are awaiting sentencing in New York after being found guilty last year of conspiring to import 800 kilos of cocaine to the U.S. through Honduras. They pleaded not guilty. The interior minister, Gen. Néstor Reverol, has been indicted in the U.S. for drug trafficking; Vice President Tareck El Aissami is on the U.S. Treasury Department’s kingpin list for allegedly protecting drug traffickers; and the head of Venezuela’s supreme court is on another Treasury blacklist for gutting the country’s democratic institutions. They all say that they are innocent and accuse the U.S. of trying to destabilize Venezuela. In Cuba, the Castro dynasty has kept power despite decades of disastrous economic policies due to devotion to the charismatic Fidel, popular achievements such as universal free health care, ideological loyalty to Marxism, discipline enforced by security forces, and the nationalist frisson of facing off against the U.S. 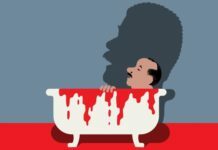 In Venezuela, aside from a similar devotion to Mr. Chávez, the glue that has held the regime together is simpler: oil-soaked corruption on an epic scale. Former planning minister Jorge Giordani, one of Mr. Chávez’s closest confidantes, said in 2015 that of an estimated $1 trillion in oil revenue received during the Chávez years, two-thirds had been distributed to workers through subsidies and cash transfers. The rest, more than $300 billion, had “fallen through the cracks,” he said. Mr. Giordani quit Mr. Maduro’s government in disgust in 2014 and now lives in a quiet neighborhood of Caracas. The government didn’t respond to requests for comment, but in the past, Mr. Maduro and other officials have dismissed accusations of corruption, economic mismanagement and repression as part of an “economic war” being waged by Venezuela’s private sector, in cahoots with the U.S., to destabilize and overthrow the socialist government. As in many petrostates, oil accounts for 95% of Venezuela’s foreign-currency earnings. Since the government administers the oil, one sure way to get ahead is not by creating a new business but by getting close to the government to secure access to oil rents. Venezuelans call the enterprising class following this model “los enchufados”—the plugged-in ones. The path to power in Venezuela is often said to run through the army and oil. Once in power, the populist Mr. Chávez went after the oil, eventually firing 19,000 employees of the state-run oil firm Petróleos de Venezuela to stack the company with his yes-men. After a brief and unsuccessful coup against him in 2002, he also cleaned out the barracks, handing over indoctrination and training to his Cuban allies. In the following years, oil prices rose sharply, and Mr. Chávez spent lavishly. He saved none of the windfall, ran large budget deficits even at peak-oil prices, raided the country’s rainy-day oil fund, and borrowed heavily, first from Wall Street and then from the Chinese and the Russians. He handed out billions of dollars worth of cut-rate oil to Cuba, Nicaragua and even Boston and London to show off Venezuela’s growing energy clout. The number of government employees doubled, to five million, and spending skyrocketed. Printing so much money caused inflation, so the government set prices, sometimes below the cost of production. Companies that refused to sell at a loss were seized, aggravating shortages. Less local production made the country ever more reliant on imports. But once the price of oil began to drop in 2014, Venezuela could no longer afford the imports, which have fallen from $66 billion in 2012 to about $15.5 billion this year. And there is little domestic industry left to pick up the slack. “It is classic Latin American populism on steroids, and now we have the worst hangover in history,” said Juan Nagel, a Venezuelan economist living in Chile. Beyond some new public housing, little was built. Mr. Chávez left Venezuela littered with the bones of ambitious, half-finished public-works projects. Among them was a $20 billion scheme to build a train network, which now lies abandoned. In Caracas, a new subway line ended up being just one additional stop on an existing line, prompting local wags to call it the Centi Metro (centimeter) rather than just a plain Metro. Unperturbed, the flamboyant leader focused on projects like changing Venezuela’s time zone by half an hour. He renamed the country the Bolivarian Republic of Venezuela. And to mark the shift in Venezuela’s political course, he changed the direction of a wild stallion on the country’s coat of arms, making the horse gallop left instead of right. Mr. Chávez’s revolution attacked the old elites, sending nearly two million Venezuelans—and billions of dollars—packing in the past 10 years. But in their stead rose a new elite: the so-called Boliburgueses, or Bolivarian bourgeoisie, who enjoyed a life of premium wines, Scotches and cars as poverty levels rose. Few enjoyed la dolce vita of Caracas more than Wilmer Ruperti, a businessman who earned Mr. Chávez’s loyalty in 2002 when he helped break an oil strike. Mr. Ruperti was a familiar sight in Caracas, riding in an armored Jaguar accompanied by two North Korean bodyguards. The magnate cemented his friendship with Mr. Chávez by buying a pair of Simón Bolívar’s pistols for $1.7 million in a New York auction and presenting them to the Venezuelan leader. Last year, Mr. Ruperti paid the multimillion-dollar legal fees for the criminal defense of Mr. Maduro’s nephews. At the same time, Mr. Ruperti’s firm won a $138 million contract from the state oil company. Mr. Ruperti said it was his patriotic duty to pay the nephews’ legal fees as a way of relieving the pressures on Mr. Maduro. He denied any link between the payment of the fees and the state oil-firm contract. Corruption helps the government maintain political control. And no tool has been more effective than exchange controls, initially adopted by Mr. Chávez in 2002 during a national strike to control capital flight. Fifteen years later, they have reshaped Venezuela’s economy and given the government enormous power to pick who gets dollars from the country’s oil wealth—often at absurdly low rates. For instance, firms and others who import food get dollars at the official rate of 10 bolivars. But they can turn around and sell those dollars on the black market for 8,300 bolivars. Venezuela’s army recently got the rights to set up its own mining and oil companies, and the armed forces are in charge of most critical imports. In 2016, 18 generals and admirals were tasked with importing key foods and sanitary items. One brigadier general was put in command of acquiring black beans; another was charged with acquiring toilet paper, feminine napkins and diapers. Logically, an admiral was placed in charge of acquiring fish. No one knows how much money has been lost. Mr. Giordani estimated that a third of the $59 billion that the government handed out to companies to bring imports into the country in 2012 might have ended up in fraudulent schemes. “It’s a terrible economic model, but it’s great for politics and power,” says Asdrúbal Oliveros, a prominent Venezuelan economist. The opposition and the regional governments don’t know how to turn the tide. An Organization of American States resolution this week urging Venezuela to return to democracy was supported by every major country in the hemisphere but blocked by Venezuelan allies like Nicaragua and a handful of statelets like St. Kitts and Nevis. Many in Venezuela hope that parts of the army haven’t been tempted by money and will want to honor the country’s democratic past. Ibsen Martínez, who helped write some of the country’s most beloved soap operas, says that hope is likely in vain. “The army is now a criminal organization,” he said in an interview from Bogotá, where he now lives in exile. “But in every culture, there are mythical creatures. In Venezuela, it is the idea of an institutional military man, who will come out like Captain America to resolve everything.” That instinct, he added, led to Mr. Chávez in the first place. His revolution’s mournful impact can be seen everywhere. Venezuela’s national baseball league now plays to empty stadiums and is considering suspending this year’s season. 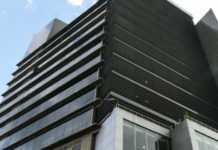 The Teresa Carreño theater, an architectural masterpiece in Caracas, used to produce some of the region’s best operas and dramas; it now mostly hosts government rallies. In the nearby Caracas Museum of Contemporary Art, water drips into buckets near paintings by Picasso and Mondrian. The museum is so empty that a thief replaced a Matisse portrait with a fake without anyone noticing for several years. Alberto Barrera, the author of a biography of Mr. Chávez who now lives in Mexico City, thinks that the time is fast approaching when he and the opposition may need to say goodbye to their hopes. “I wonder when I will wake up and realize, ‘They beat us.’ That it’s all over and the country I knew is gone,” he said. Next articleThe most unfortunate and unappreciated generation, this generation!